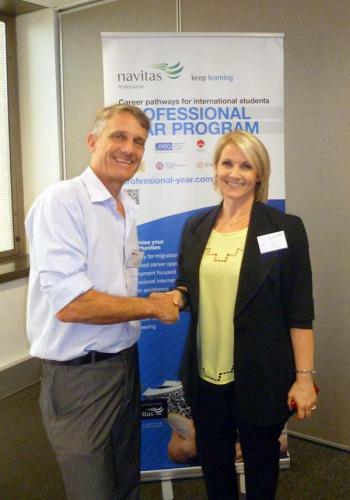 AS part of our ongoing commitment to the education and training of young engineers, Hetech recently attended the first information session for the Navitas Professional Year Program, held in Brisbane. Navitas along with various other agencies have been instrumental in working within the industry, placing young engineers in real work environments, to face the challenges of real projects. Karen Walklett from Navitas stated that involvement from companies such as Hetech is crucial to the education of our young engineers and to the growth of the industry. “Without companies like Hetech the Navitas Professional Year Program would not be possible, leaving students struggling to get a break in the industry”. General Manager of Hetech Mark Steiner said, “For many engineers work experience has been a great way to get a foot in the door of the industry”. “Hetech has employed over 50 students in the last 12 years, with positive results. We need to give students an opportunity to get real jobs and become excellent engineers”. “Our industry is renowned for relying on overseas engineers, it’s important that we train and educate locally”. Hetech General Manager Mark Steiner and Karen Walklett from Navitas.